NASSAU, Bahamas — John Calipari’s hope in taking his players to do a community service activity with Samaritan’s Feet in the Bahamas was to teach them about servant leadership and provide them with a firsthand lesson in what they can do to help others in the position they’re in. Calipari wasn’t sure if that light bulb of a lesson would click on in his players’ heads as they washed the feet of Bahamian children on Wednesday, gave them new socks and shoes, and sent them home with a bag of goodies. But then, right before the UK’s staff’s eyes, one of the players demonstrated the message was getting through. Nearing the end of their work with Samaritan’s Feet, Karl-Anthony Towns realized they had run out of new socks to give a little boy. Rather than send him off without a pair, Towns had a better idea. He flipped off his sandals, took off the new socks he had put on his feet an hour ago, and rolled them up the boy’s ankle. The little boy, size 20 socks rolled up nearly to his knees, smiled back at Towns. The purpose of UK’s basketball trip Wednesday and the overall mission of Samaritans’ Feet is to provide children in need with some essential supplies, to inspire them and to give them hope to dream big, which Samaritan’s Feet has been doing for years now. 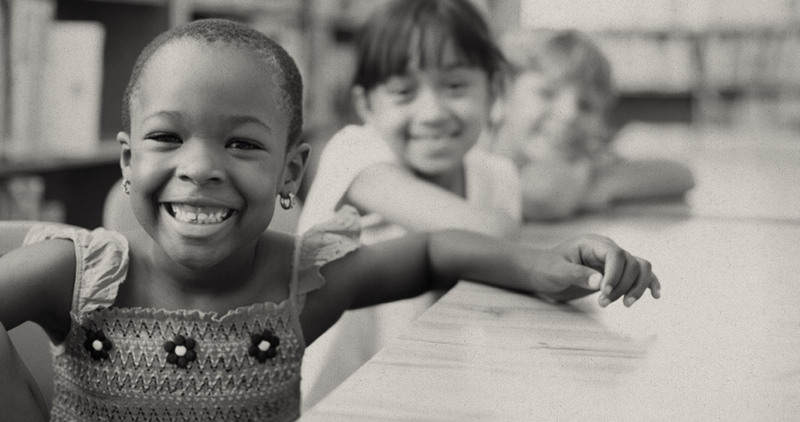 In its goal to put shoes on the feet of 10 million orphans and impoverished children across the world, Samaritan’s Feet has been able to help more than six million kids in 65 countries and 285 communities across America since 2003. 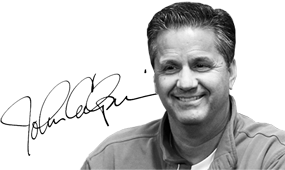 Calipari, his program at Kentucky, and his foundation, the Calipari Foundation, have played an instrumental part in that mission over the last five years, doing similar service work in Haiti, Detroit and in Kentucky. But for everything the Bahamian children got out of Wednesday’s experience, the Wildcats may have received just as much. It wasn’t just Towns giving up his socks or the act of washing a child’s feet; it was the genuine sense of joy and appreciation the players got out of the Samaritan’s Feet shoe distribution that made it such a positive success. Before walking into New Birth Church in the outskirts of Nassau, Bahamas, Calipari spoke with his team about the symbolization of washing a child’s feet. He told them that it wasn’t just about giving a kid a much-needed new pair of socks and shoes; it was about the act of inspiration. The players followed his lead. Derek Willis recalled talking with a young boy named Brian. The little boy, like so many of the kids the Cats interacted with Wednesday, was shy at first, but after Willis asked him a few questions, he opened up and talked about what sports he plays, his brothers and sisters, his family, and his interests. Kentucky’s involvement with Samaritan’s Feet is no coincidence. 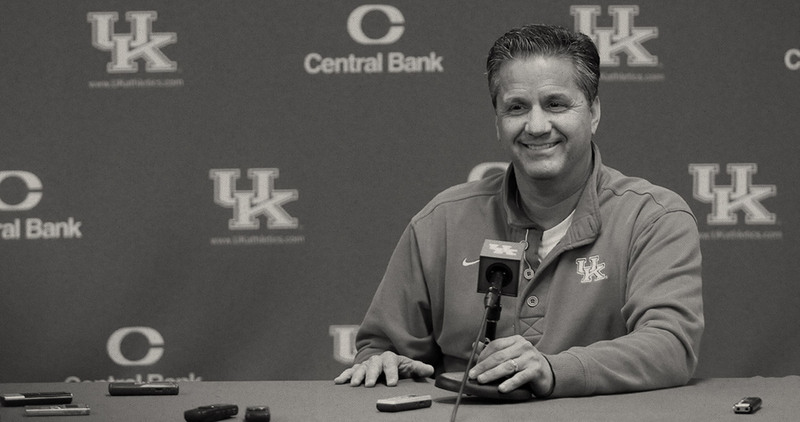 Calipari has been teaching his players about servant leadership since he arrived in Lexington in the spring of 2009. Samaritan’s Feet reflects those same values. Its leader, Ohonme, grew up in Lagos, Nigeria with very few things in his possession, including tennis shoes, hopes and dreams. That all changed for Ohonme more than 30 years ago when a stranger from Wisconsin befriended him and gave him a pair of shoes. Ohonme, then 9 years old, said the shoes sparked hope and inspiration. He eventually went on to compete in sports activities in Africa before earning a scholarship in America and founding Samaritan’s Feet. “The bigger picture is to realize that they can all make a difference,” Ohonme said. “I mean, look at my life. Somebody gave me a pair of shoes over 30-something years ago never knowing that today would be impacting millions of kids around the world. … That decision to help somebody can create a ripple effect that will last forever. The work Michael Kidd-Gilchrist did with Samaritan’s Feet inspired him and led to his current position as one of the leading NBA spokesman for Samaritan’s Feet. Just last week he washed the feet of children and donated shoes before kids went back to school. Calipari is hoping his current players gain the same type of understanding and become servant leaders like Kidd-Gilchrist in the future.